Last week I took a trip to Toronto for a visit. I had not been back there in about 3 years. The trip there was quite perilous and snow filled, which I posted pictures of on Twitter as it was happening, but well worth the effort to return to civilization for a few days. I spent most of the time exploring and shopping, picking up some toys, books and movies. 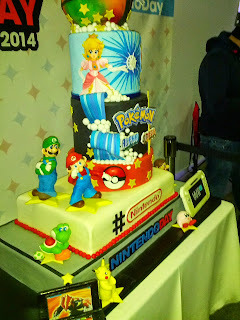 Luckily for me, there was a special Nintendo event happening in town to celebrate the then-pending release of Super Smash Bros for Wii U and Pokemon Omega Red and Alpha Sapphire on 3DS, and I was not going to miss it. There were lots of game stations set up for people to try Smash Bros. on Wii U, a stage for 8-Player Smash battles, an Amibo display, lots of photo opportunities with cool backdrops, cosplay, freebies, and an intricately decorated cake. 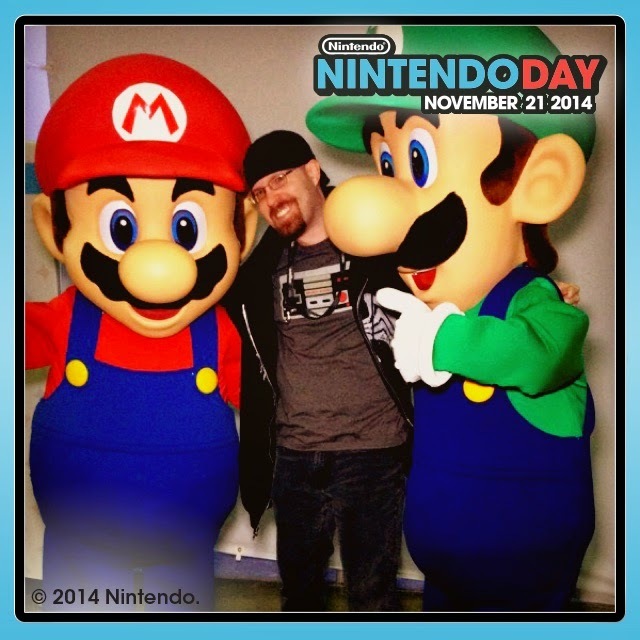 Yes, even Mario and Luigi were there. As if I was not going to get a picture with them! We all got to play Smash Bros. for Wii U a day before release, which was great. 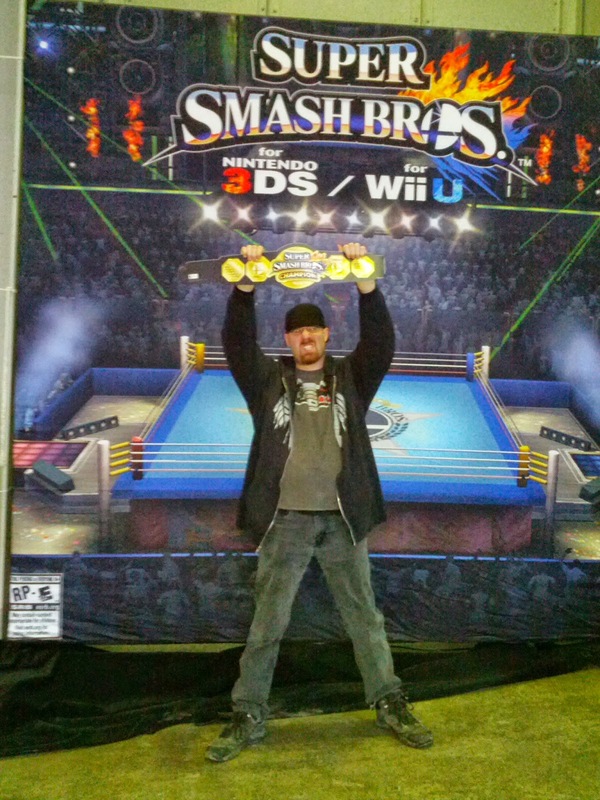 Everyone who played got a Smash Bros Champion belt. 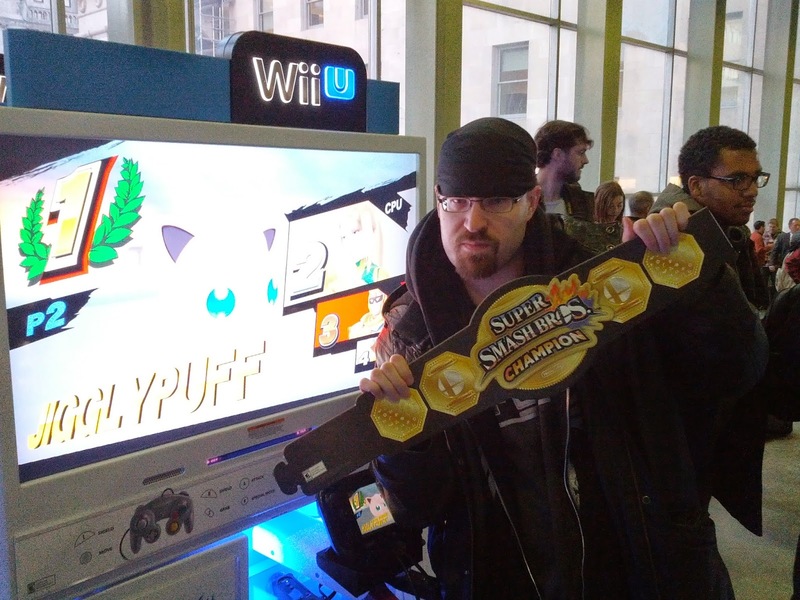 I won a match with Jigglypuff and had this photo taken for posterity. You might note the stark visual contrast between myself and my chosen character in this instance, but there is no arguing with victory. 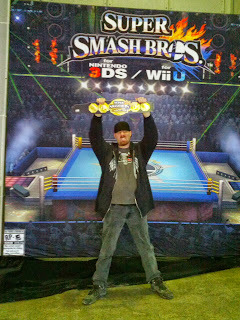 Of course, the guy I was fighting against also got a belt, so it's all good. The belt is just cardboard, but who cares? It's totally awesome! 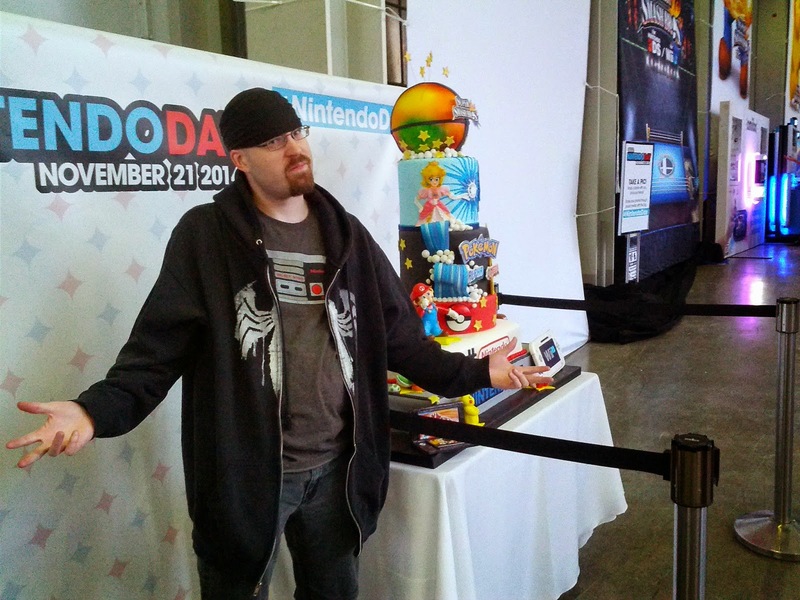 Unfortunately, Jigglypuff did not fair so well when I took the stage for an 8-player Smash, which was a chaotic and hilarious mess. It was a very fun day overall. 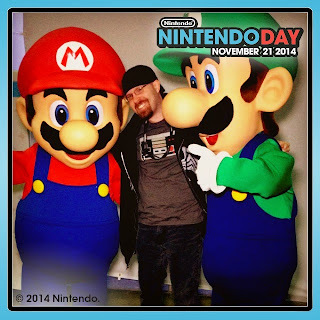 I really felt, in all the lights and noise and enthusiasm over these games and characters, that this was home.